It gets stuff done! Azure’s integrated tools, pre-built templates, and managed services make it easier to build and manage enterprise, mobile, web, and apps faster, using skills developers and IT professionals already have and technologies they already know. 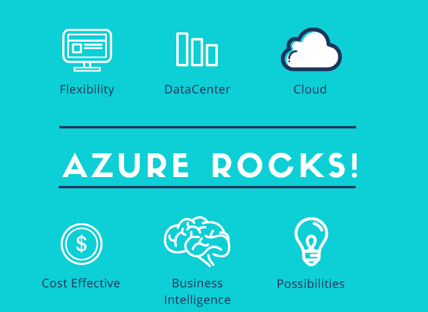 Azure is flexible! Supports the broadest selection of operating systems, programming languages, frameworks, tools, databases and devices. Have your cake and eat it too! Datacenter or Cloud… that is usually the question. But Azure doesn’t make you decide, you can have both! It easily integrates with your existing IT environment through the largest network of secure private connections, hybrid database and storage solutions, and data residency and encryption features—so your assets stay right where you need them. You can even run Azure in your own datacenter with Azure Stack. Your data is protected, even in the cloud! Don’t be afraid of the cloud… your data is protected. Microsoft’s Azure Government is a stand-alone version of Azure designed to meet the rigorous compliance requirements of U.S. public agencies. Azure is everywhere! Azure runs on a worldwide network of Microsoft-managed datacenters across 19 regions. This fast-growing global footprint gives you lots of options for running applications and ensuring great customer performance. Azure is also the first multinational cloud provider in mainland China! Save money, only pay for what you use! Azure’s pay-as-you-go services can quickly scale up or down to match demand, so you only pay for what you use. Per-minute billing and Microsoft’s commitment to match competitor prices for popular infrastructure services like compute, storage, and bandwidth means you’re always getting unbeatable price for performance. It’s redefining business intelligence! Make smarter decisions, improve customer service, and uncover new business possibilities with Azure’s predictive analytics services like Machine Learning, Power BI and Stream Analytics. Learn Microsoft Azure from Solartech’s expert trainers. These Microsoft Azure training courses cover key technical topics to help developers gain the knowledge they need to be a success. Enroll in our Azure training courses and get the edge to rise above your competitors! Did you know that Solartech has a lot of free Azure e-books available? Check them out! As Kevin McCallister would say… “Are you thirsty for more?” Well… if you want even more on Azure, Solartech has it! We have lots of free ebooks for you to expand your Azure knowledge even further. When you are ready to validate the skills you learned and take the tests to get either your Azure MCP or Azure MCSD… Solartech offers discounted testing vouchers! Ask your learning solutions specialist for more information! Microsoft Cloud Power is upon us and it’s best to get ahead of the curve with Windows Azure. This class is an introduction to cloud computing and specifically Microsoft’s public cloud offering in Windows Azure. 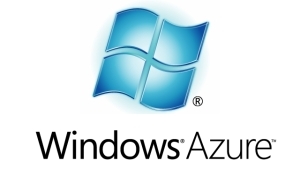 Windows Azure has been described by Microsoft as an operating system for “the cloud”. In this class, you explore this new cloud operating system and learn how to write, deploy and monitor .NET applications in Azure. 50466A: Windows Azure Solutions with Microsoft Visual Studio 2010 is designed for .NET developers with Web application experience that are exploring developing new applications or porting existing applications to Windows Azure. Explore the Azure SDK and DevFabric development environment. See how to develop applications for Azure and how that varies from “normal” .NET application development. Write and deploy a ASP.NET Web application (Web Role) to Azure.